With the weather not great I spent and evening playing with some smoke trails. The trails were shot from the smoke of an incense stick, with a black card in the background. The camera and 100mm lens, mounted on a tripod and rail. 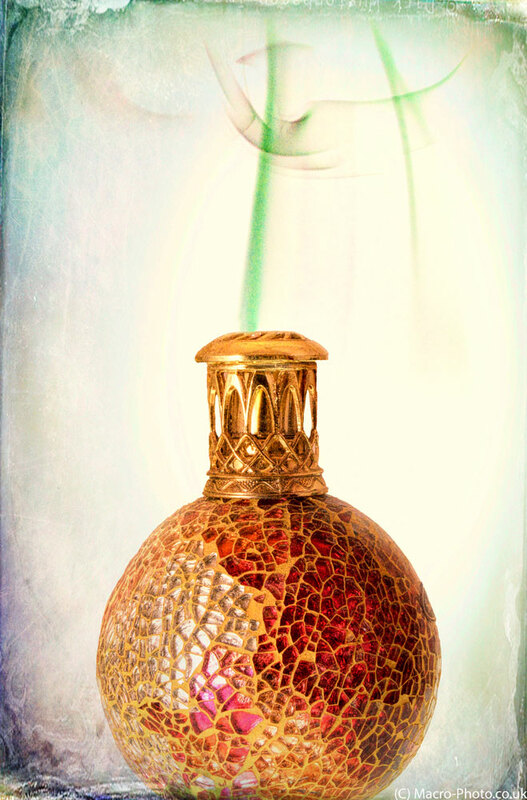 I pre-focused on the tip of the incense stick and then took some images. 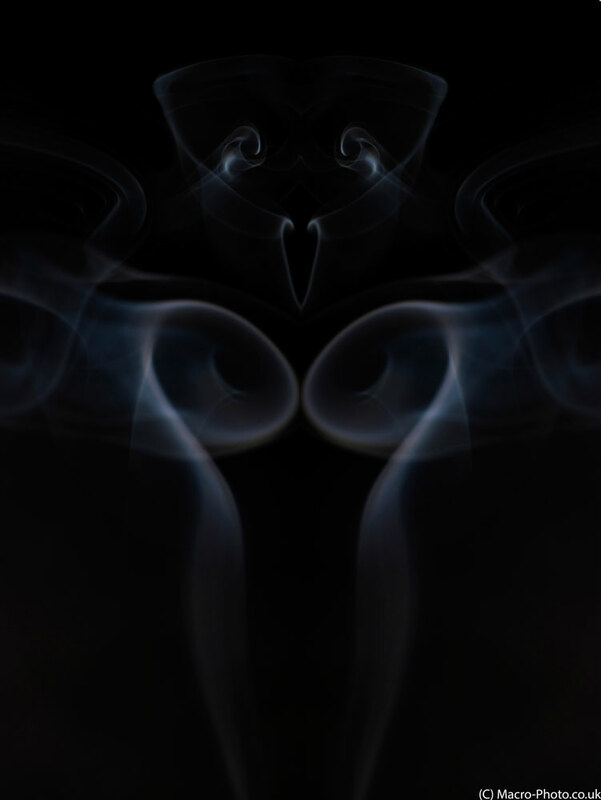 I waved my hand at the smoke to give it some movement and create some different shapes. Whilst doing the shoot, I also used the benefit of reviewing the images on the cameras lcd screen to check focus and exposure. Some minor adjustments to these were made during the capture of the smoke images. 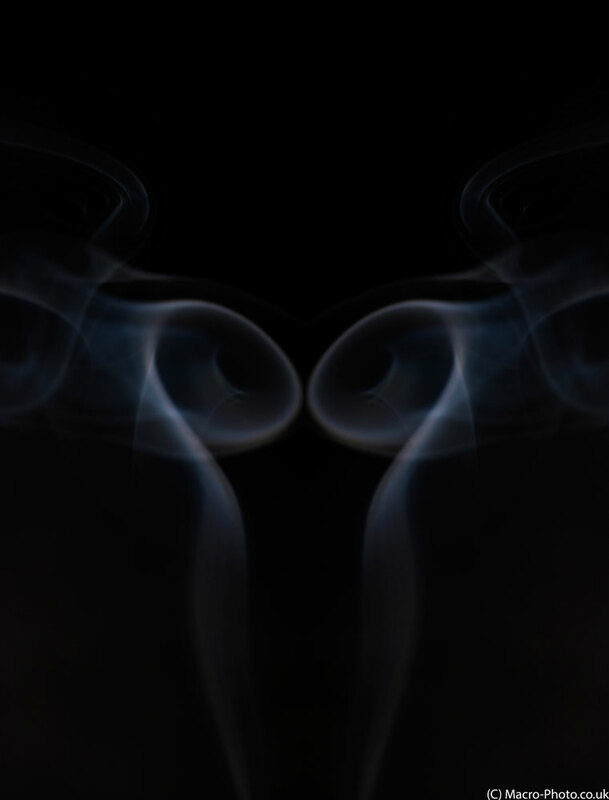 The smoke was lit from one side with a constant light source and a flash to freeze the smoke from the other side – both angled in about 45 degrees and diffused. Further lighting from a light-box from below was also used. Additionally I took an image of a small oil holder in my light tent – which I then used to merge one of the smoke trails in to the shot. The smoke trail image in this one being inverted in colour to give the matching white background. I also created this image “Woman” from two separate smoke trails merged together. 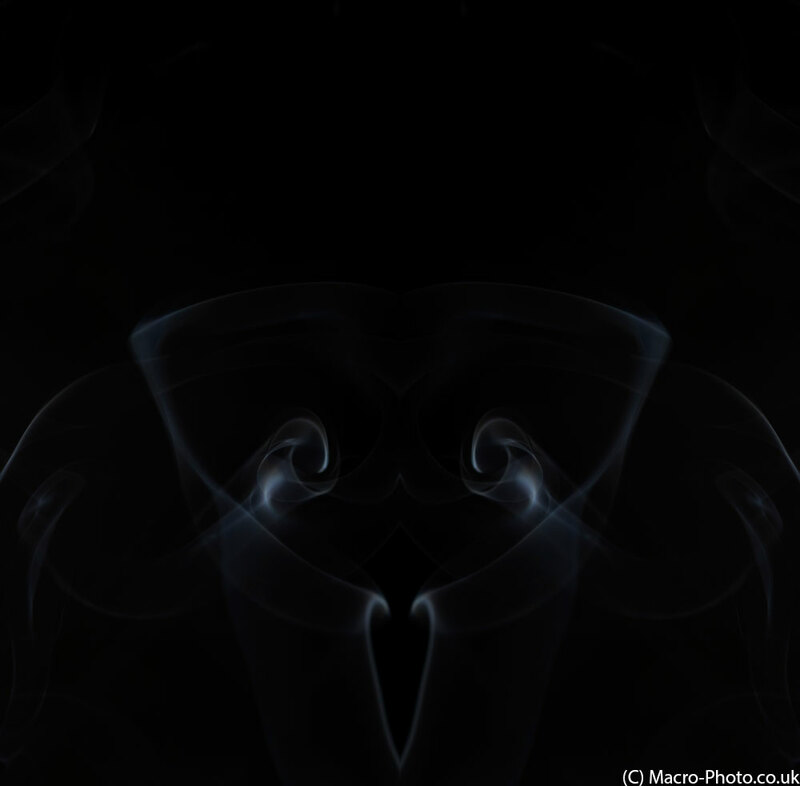 To do this i first created mirror images of the two smoke trails. The individual mirror images are shown below. I merged them together in Photoshop CC. To give the image below, before playing with the colour hue and saturation to give the final image shown earlier.